Today at the Global Entrepreneurship Congress in Milan, global startup community leaders 1776 and the Global Entrepreneurship Network (GEN) announced they will partner to expand the scale of the Challenge Cup competition to enable local leaders and startup incubators around the world to host competitions. Challenge Cup is a global competition traditionally held in 16 cities around the world, aiming to uncover highly scalable startups with bold visions for solving the world’s biggest challenges. Startups compete for $650,000 in prizes in four categories—education, energy & sustainability, health and cities & transportation—as well as the chance to connect with customers, partners, mentors, policymakers, and investors. Through the new partnership announced Monday, GEN national hosts and partners in 157 countries will have the opportunity to host local ChallengeX competitions, with the winning startups advancing to regional Challenge Cup competitions and ultimately the global finals in Washington, DC. Candidates for the Challenge Cup competition are startups that are compelling, world changing, and highly scalable, and that aim to make tangible differences in people’s lives, not just build the hottest new app. Through Challenge Cup, entrepreneurs are not only connected to the investors and mentors they need to succeed, but corporations and policymakers in some of the world’s most entrenched industries and government entities are introduced to these innovators’ fresh ideas that have the potential to solve big, difficult challenges. This year, Challenge Cup regional competitions were hosted in 16 cities. Each Challenge Cup regional competition produced four winners in each of the four categories, with 64 regional winners chosen to compete in 1776’s annual Challenge Festival, a weeklong event in Washington, D.C. that gives these startups an opportunity to pitch investors, connect to new mentors, meet with policymakers, and compete for prizes and funding. Alongside the Challenge Cup regional competitions, this year 1776 tested the ChallengeX concept as a way to cast a wider net and give more startups the opportunity to present their ideas in front of mentors, judges, and investors around the world. Participating ChallengeX cities include Islamabad, New Orleans, and Buenos Aires. These highly successful competitions are proving the need and opportunity to use ChallengeX to dramatically expand the number of cities and startups participating in the Challenge Cup. 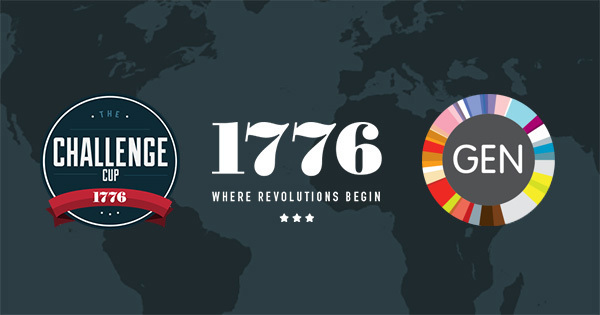 1776 is a global incubator and seed fund that finds promising startups focused on solving the world’s most fundamental challenges and helps engineer their success. 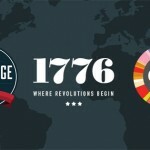 Just two years old, 1776 has helped more than 250 startups grow by vetting their viability and connecting them to a “swat team” of support, from investors to mentors, government officials, and institutional market partners that they need to succeed. 1776 focuses on startups in the most broken, entrenched industries and sectors that impact millions of lives every day – specifically education, energy, health and cities. Because solving big challenges in entrenched industries requires a different approach, 1776 is revolutionizing the startup landscape. From its hub in Washington, D.C., it is sparking a global movement of “problem-solving’ startups through its Challenge Cup and Startup Federation, the premiere network of incubators throughout the world. By creating a global community of startups, mentors, partners, and investors, 1776 is proving that its unique approach to incubation can create a sustained cycle of innovation that connects existing enterprises, corporations, and government entities to the startups that are solving the world’s biggest problems. 1776 was founded in February 2013 by Donna Harris, a serial entrepreneur and the former Managing Director of the Startup America Partnership, and Evan Burfield, founder of netDecide, a provider of enterprise wealth management solutions, and the consulting firm Synteractive.